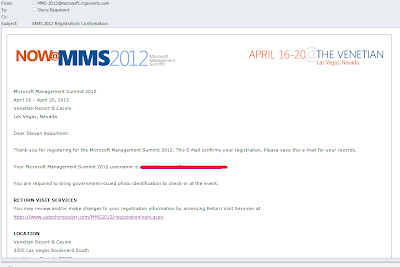 Registration for MMS 2012 (Microsoft Management Summit) opened last week, if you're planning on going then I'd suggest you head to http://www.mms-2012.com/ quick and take advantage of the early bird offer before places run out. Hopefully I'll be there this year aswell. If so, we should meet up, take a beer and chat some. 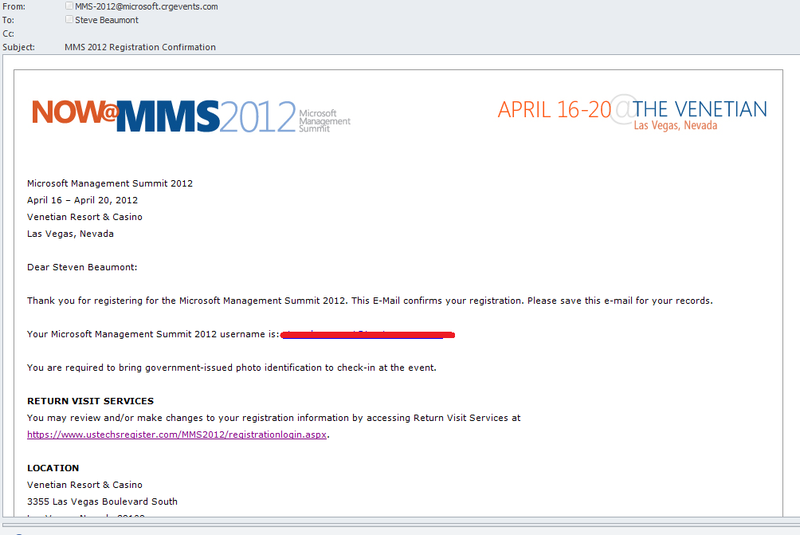 Might see you there too Steve - was at last years one and am hooked now!! Obviously nothing to do with the fact that its in the gambling / stripper capital of the world!! I so need to come up with a plan on how to meet up with people while I'm there otherwise I'm likely to walk straight past and never know! !